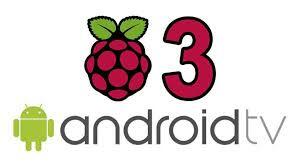 This post will gather all Android TV – Raspberry Pi related infor. Download and install linuxmint.com Cinamon using Rufus. Download live CD GParted and boot it. Select device and un-mount the device. Right click on Boot partitions, mark flags boot and lba. Go-to My Computer and mount all partitions you have created. Follow minute 9 at the youtube video. Boot the Raspberry pi with the SD-Card. Find the Raspberry pi IP address (min 12:30).